Don’t let me fool you, I do not recuse myself. Some of you have enjoyed a round of golf with me and know that I have been guilty of blackout rage as a result of an errant tee shot. I have uttered unspeakable things after I lay the sod over on an approach shot. I have taken the life of a fairway wood through swift decapitation. I’ve sought perfection only to discover failure. It happens. This is not my story of redemption or a self-help guide. I do not dwell in a van with direct proximity to a river. However, my name is Nathan Carr and I am a motivated golfer. Enjoying golf is about acceptance and appreciation. Accept the errant shot. Appreciate the surroundings. Accept the unfavorable bounce. Appreciate the company. Accept the plugged lie. Appreciate the time well spent. When you do this you are reminded why you made the damn tee time in the first place. You want to be out there walking fairways. You want to be out there gripping and ripping. Yet they lean in - watch - wait. In order to be brilliant. Golf is no different. Innumerable things can go wrong. Nature can interfere with a well hit shot. The body and mind often fail to sync in a way that produces a functional swing. Such is life. Yet, a tree branch can redirect drive to the fairway. A sprinkler head can give the poorly struck drive an extra yard or twenty. A pitch mark can help a ball roll toward its home. Take Ms. Grieco’s advice and stand over the ball with the willingness to fail so that you are given the opportunity to be perfect. How do you enjoy golf? 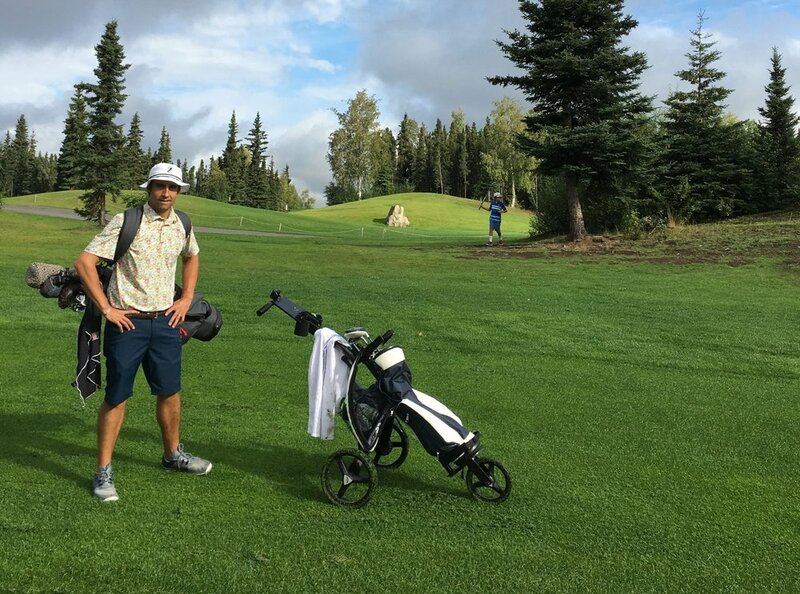 Share your story by dropping me a line and tag your photos with #EnjoyGolf .